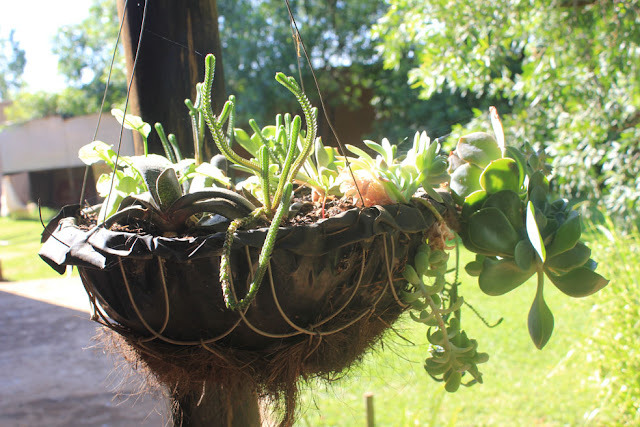 Last spring I planted a few succulents in a hanging basket that used to contain Plectranthus verticilatus, which unfortunately died during winter. The story goes that, as long as your 'money plant' (Plectranthus) grows well, you'll never be short of money, and I had my plant for years. When it died last winter, I must say I started getting very worried! he he! 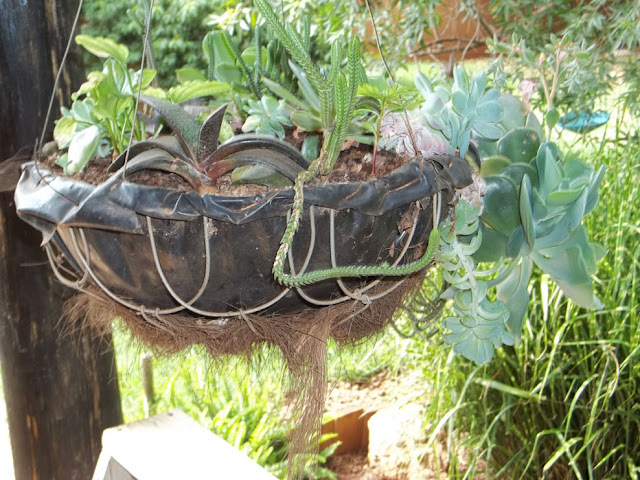 I used a few Echeveria imbricata, Echeveria elegans, some Gasteria and a few sprigs of Crassula imperialis. 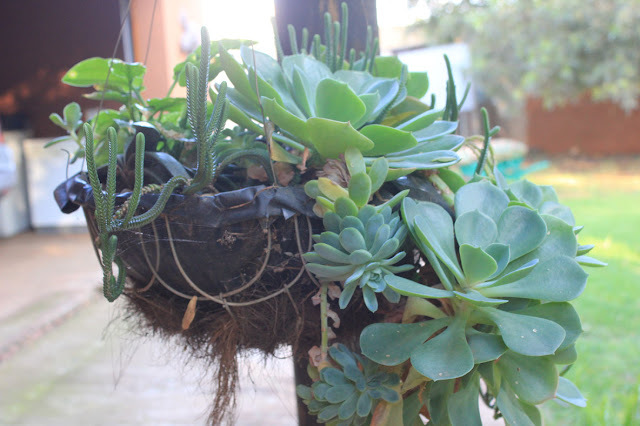 They have all survived the winter and really filled the basket nicely! 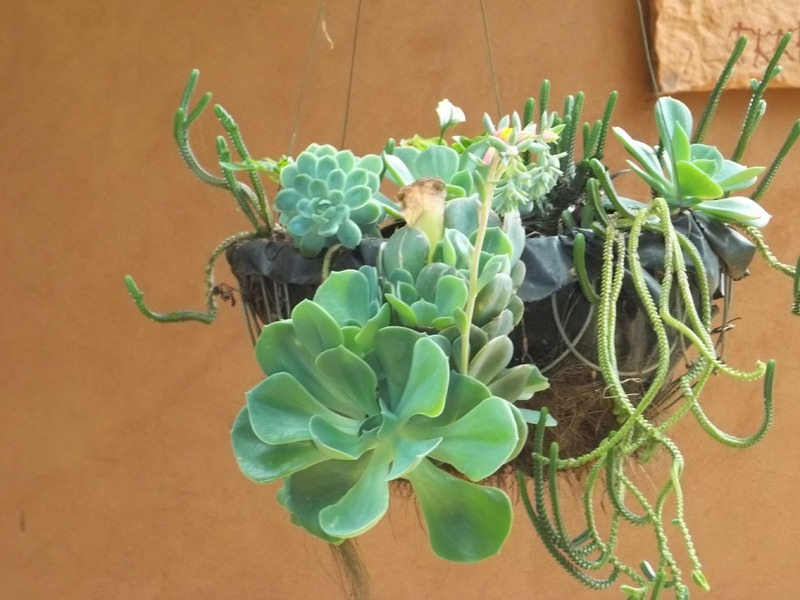 Hanging from a wooden beam on the patio, they get morning sun and late afternoon sun and very little water. Ragwort vine (Othonna capensis) – This is one of the creeping hanging succulent plants. A member of the daisy family, this is not as common as some succulents. But, it has much to offer. Native to South Africa, this creeping plant features slender, trailing stems. These can eventually reach several feet in length. The shiny, green leaves are usually in clusters. Spindle-shaped, these look as if they are suspended on the stems. The yellow blooms, which look like daisies, need sun to open. String of hearts (Ceropegia woodii) - being a succulent it is very forgiving to being under-watered. String of nickels (Dischidia nummularia) - This trailing succulent plant has interesting foliage that screams for attention. It consists of round grey-green leaves which are flat and reminiscent of little coins (about nickel size) hanging from a string. 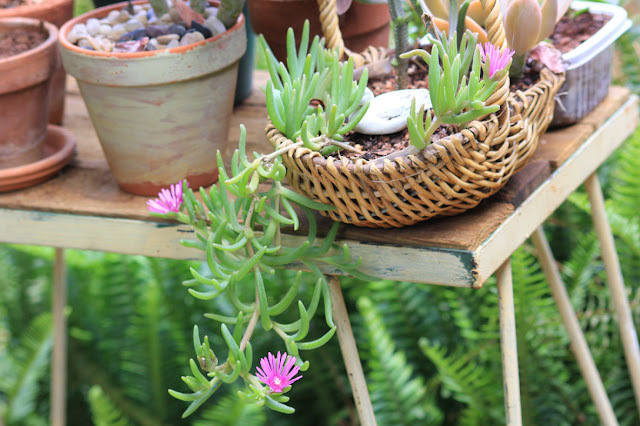 The Rattail cactus is another succulent that actually prefers a hanging basket, as the trailing stems can get several feet long. 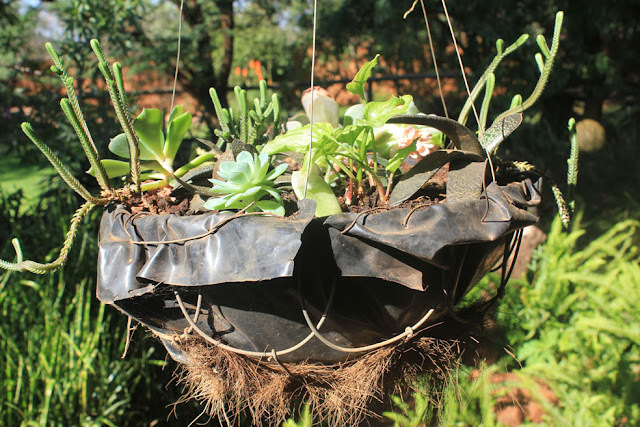 Vygies is another creeping succulent that does well in a hanging basket. 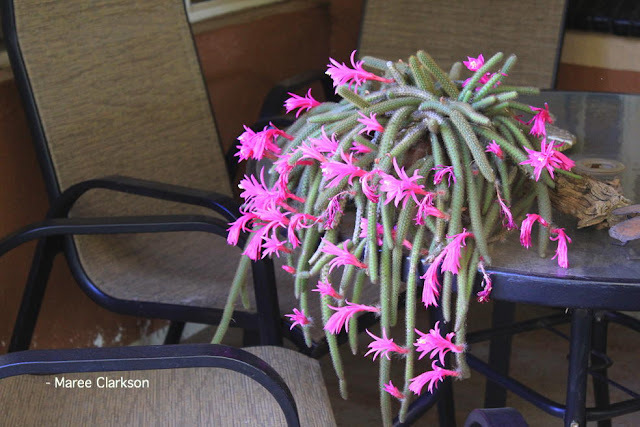 I've got mine in a little basket on a plant stand on my patio and is already starting to hang down. I'd like to plant him in a hanging basket, but would just have to find the perfect sunny spot in the garden to hang him. I'm sure there are many more species that can be used in your basket, so just use your imagination and give them a try, you might be pleasantly surprised!